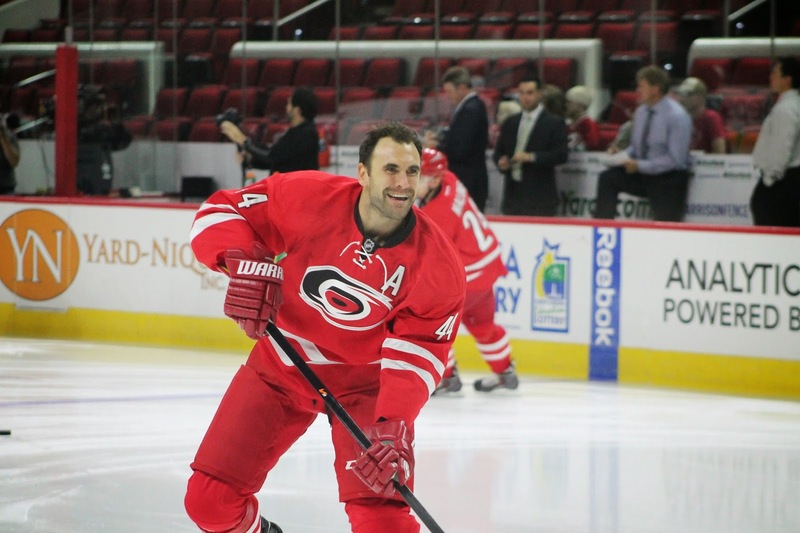 When 6,250 fans walked into PNC Arena on a beautiful Sunday afternoon everyone was happy to see the boys back on the ice for the start of another season. It was not just a hockey game it was fans seeing each other for the first time since April and catching up with arena staff and fellow fans. With this being the first preseason game and training camp only being open 2 days the expectations were not set very high. 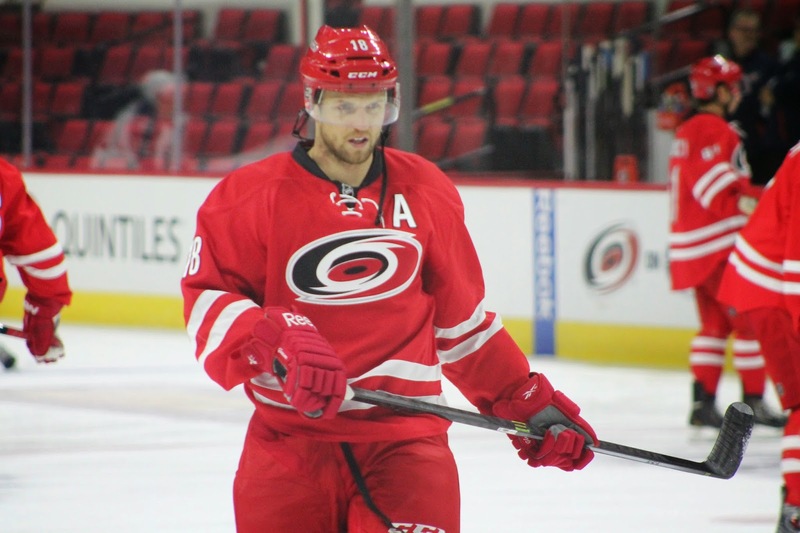 Cam Ward, Elias Lindholm, Riley Nash, Jeff Skinner, Patrick Dwyer, Andrej Sekera, and Jay Harrison were the roster regulars that were in the lineup today and their veteran presence was felt. Ward started in net and played 22:45 allowing 3 goals on 13 shots; then for the final 24:01 Alex Nedeljkovic allowed 1 goal on 6 shots. The Canes scored a quick Power Play goal from Andrej Sekera in the 1st period; then Riley Nash added another goal in the 2nd and Chris Terry followed that with a tally in the 3rd to bring the Hurricanes within 1 goal of the Blue Jackets. Even though the final score of 4-3 doesn’t reflect the effort the Hurricanes put fourth; there was some improvement already from last year and that has to please the new coaching staff of Bill Peters and company. The passing was crispy with tape to tape touches, strong presence in the offensive zone, going after offensive zone rebounds, defensive players very involved on scoring chances, and the aggressiveness in the younger players. There were some players that stood out in this first game and their future is bright for Carolina. One of those players was Jay McClement who signed as a free agent this summer coming over from the Leafs. Even though he was not been with the organization long he is all ready making an impact by earning the “A” for today’s game and was 53% in the face-off circle. Others that stood out were Riley Nash and Chris Terry. They both showed that they took the new coaching staff messages to heart and really worked hard this summer conditioning and preparing for the season; their hard work and efforts have shown in training camp and were also shown in today’s game. 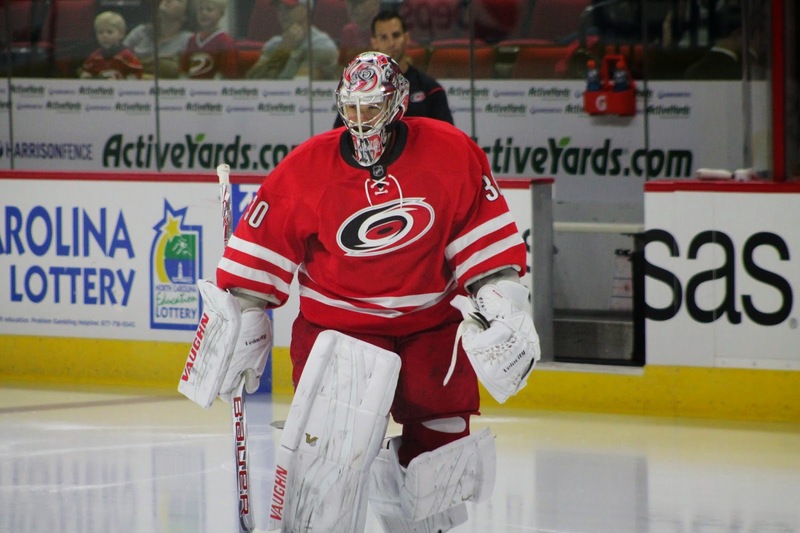 The Canes return to action on September 23rd in Buffalo against the Saber and return home to PNC Arena on October 3rd to face those same Sabers. Reminder: Canes Carnival is Friday September 26th… Come out to meet the team and have some family fun!!! 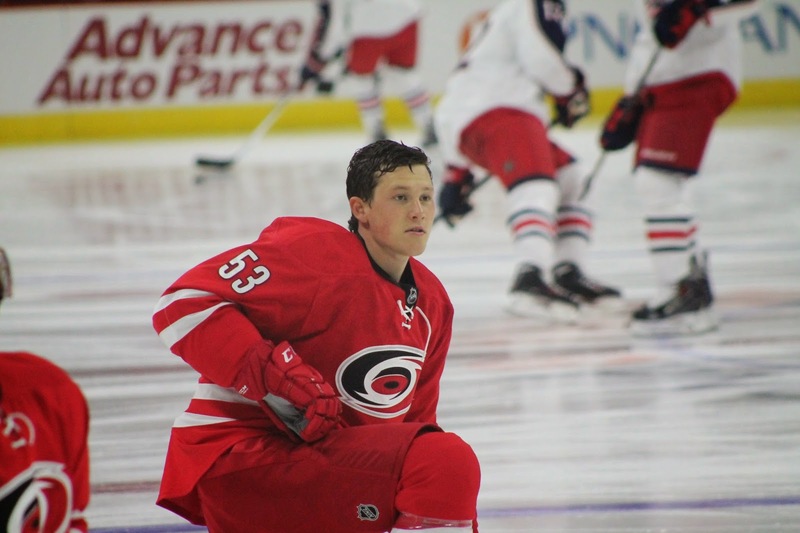 Jeff Skinner with 2 Assist Today!